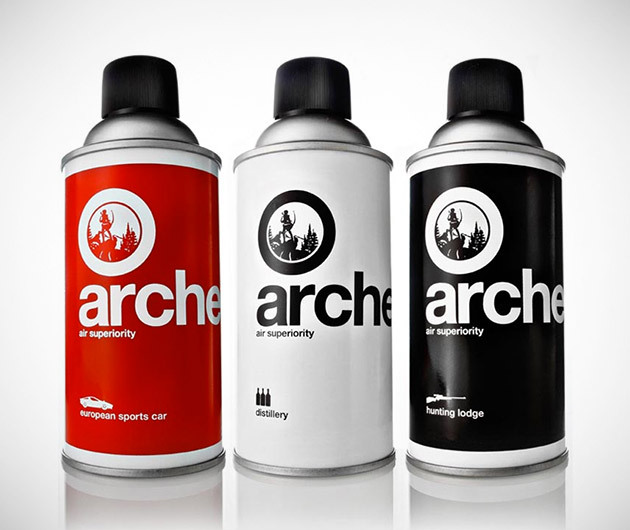 Eliminate wafts of dog, B.O., or worse, your lady’s potpourri with Arch Air Superiority, the ultimate in man smell. European Sports Car is the first flavor, a mix of worn leather and testosterone, Hunting Lodge offers the scents of hearth stone, gunpowder and rain swollen timber while our personal favorite, Distillery, smells of charred oak and sour mash. Only problem with that one, it builds up quite the “thirst,” if you catch our drift.